Roger M007re is James Bond. James Bond is sent to New York to investigate the mysterious deaths of several British agents. He soon senses that there is a drugs link between the notorious Mr. Big, and Dr. Kananga, the secretive owner of a small Caribbean island. However, Kananga is not a man to be dealt with lightly, and the fact that his beautiful Solitaire has already been seduced by 007 makes matters worse. When I was young and my heart was an open book, I used to say, "Live and let live." But if this ever-changing world in which I live in makes me give in and cry, say, "Live and let die." Yes, I'm spending an awful lot of time focussing on this song, but can you blame me? McCartney's explosive little rocker is easily the best thing about Live and Let Die. (Actually, it's also easily the best Bond theme song of them all, but that's a different matter.) For Roger Moore's first turn as our favorite secret agent, the producers concocted a surprisingly low-key and unmemorable affair. Die is a mildly interesting and enjoyable film, but it's definitely not Bond's finest hour. I found the filmmakers' decision to make Die such a small-scale picture pretty surprising. In many ways, the movie's comparable to 1981's For Your Eyes Only, as both represented conscious steps back from the over-the-top gadgetry and mayhem of previous pictures. For Die, they even went so far as to fail to include "Q" (Desmond Llewelyn), as reliable a Bond institution as there is. Until his death after 1999’s The World Is Not Enough, Llewelyn appeared as "Q" in all of the Bond pictures since the second one - From Russia With - save for the exception of Die. This "retrenching" made sense in the case of Only since it followed on the heels of possibly the most extravagant and outrageous Bond of them all, 1979's Moonraker. The series had pushed farther and farther into comic book territory, and it was smart of them to try to bring Bond back to a more realistic situation. In regard to Die, however, I don't see the reasoning behind this move unless they just wanted to save money. Yes, the prior Bond flick - 1971's Diamonds Are Forever - was fairly extravagant and outlandish, but the series had already "retrenched" to a degree with 1969's On Her Majesty's Secret Service. It didn't seem to need that readjustment at that time. I think that the smaller scale of Die backfired on the producers for one crucial reason: it put much more of the emphasis on our new Bond, Roger Moore. The merits and flaws of Moore as Bond have been endlessly debated and will continue to be argued as long as people watch the films. Personally, although I grew up with Moore in the character and spent much of my life with the view that he was the definitive Bond, I now don't much care for his work in the role. He seems much more like a valet than Bond; he's simply too mannered and "proper" for the part. While Moore would eventually grow into the role and make his own take on Bond more palatable, he was on shaky ground for Die, and that's what makes the film's tighter focus more problematic. Unusually, we don't see Bond during the customary pre-title sequence. Instead, we view some scenes that set up the storyline. Our introduction to Moore as 007 comes in typical Bond fashion: he's snuggled up to some cutie in post-coital contentment. Reality intrudes as his boss "M" (Bernard Lee) and secretary Moneypenny (Lois Maxwell) make a rare housecall to roust Bond for a new adventure. This opening scene sets the stage for how Moore will play the part, and it does so poorly. Bond tries very hard to conceal the presence of his "guest" from "M" and Moore makes him look much too flustered as he does this. There's little of his usual strength and self-assurance, and it feels a little like an outtake from an episode of Three's Company. Bond also makes cappuccino for "M" in a scene that's supposed to once again remind us of Bond's sophistication and taste; cappuccino and espresso were apparently much more foreign to most folks in 1973. Unfortunately, the way Moore futters about with the machine and carefully concocts the coffee reminds me too much of Felix Unger. Connery could have made these scenes work, but Moore simply seems much too prissy for a secret agent with a license to kill. Is it unfair to compare then-newcomer to the role Moore to established Bond Connery? In this case, no, because that's exactly what everyone who saw the film would do. Moore received a break from the fact that he wasn't the first "new Bond" after Connery; George Lazenby flopped in the role in 1969 before the producers enticed Connery to return one more time. This probably helped him, since Lazenby got audiences used to the concept of the "new guy." If Moore directly followed Lazenby, that'd be one thing. But since Connery came back for Diamonds Are Forever, that put Moore back in the unenviable position of following him into the role, and the comparisons do not favor Moore. As I mentioned earlier, Moore eventually took the role as his. While he was never as good as Connery, he at least made the part acceptable and less wimpy than he was here. Moore just seemed to spend the entire Die shoot adjusting to the part, something that negatively affects the quality of the film. Overall, I like the idea of a simpler, less fantastic Bond film; the paring down worked pretty well in Only. Unfortunately, the problem with Die is that not only do we have a somewhat weak hero, as played by Moore, but the story itself is something of a dog. Actually, there really isn't much of a story. Guy has some agents killed, guy turns out to be a drug lord, Bond stops him - the end. The drug lord in question, Kananga (Yaphet Kotto). has some of the usual aspirations to grandeur - by initially distributing heroin for free, he intends to drive his competitors out of business and then charge out the vein for it when he achieves a monopoly - but not much drama stems from this. It's not like he's acquired any kind of "doomsday weapon" or anything; he's just going to milk some junkies. Kotto's always been a fine actor, and he brings his imposing stature to the role. It's a poorly written part, but Kotto makes it more memorable than it should have been. Kananga's not one of the better Bond villains, but Kotto at least makes him interesting. Jane Seymour plays our main "Bond girl," Solitaire. She holds the distinction of being one of the few Bond females who didn't vanish into oblivion after working in the film, though I'm not sure that being Dr. Quinn is actually better than oblivion. She's a pretty but tremendously slight presence. One gets the impression that she falls over when attempting to blow her nose. One of the stronger Bond women she is not. Die did achieve a form of progressivism with the interracial pairing of Bond and Rosie Carver (Gloria Hendry). You know, it'd be interesting to see what races Bond hasn't boffed. I know he first went Asian in You Only Live Twice, and he's been with some Latin women. When's he gonna bag an Eskimo? Other racially-flavored aspects of Die do not fare so well, however. Bond's experiences in Harlem are laughably stereotypical of the black culture of the period; lots of calls of "jive turkey" and "honky" abound. Man, did people ever actually talk like that? Regardless, it looks tremendously silly and dates the film badly. I could have done without the sight of the "pimpmobiles" as well; it all seems like a Shaft movie gone wrong. Well, at least they kept the main characters away from that side of things other than Kananga's ridiculously stereotypical alter ego, "Mr. Big," who makes few appearances in the picture. Our main heavy always has to have a right hand man, and in this case, it's quite a right hand! TeeHee (Julius W. Harris) stands as a precursor to later baddie "Jaws," but instead of vicious metal choppers, TH has a crushing artificial arm. Harris plays the part with a disarmingly good-natured quality; TH doesn't seem terribly menacing most of the time, but that's ultimately kind of spooky, because his implicit threat remains. He's no Odd Job, but TeeHee's not a bad second banana. Considering that the filmmakers overtly scaled back the theatrics for Die, one curiosity is the movie's big action piece, an extended boat chase down a Louisiana bayou. While this scene contains some exciting stunts, it goes on for far too long and ducks into some weird places along the way. In the interest of alleged comedic relief, we soon meet redneck stereotype Sheriff Pepper (Clifton James), who enters the chase. The inclusion of Sheriff Pepper and his cohorts really makes the chase very disjointed; we frequently lose sight of Bond himself for (seemingly) extended periods of time. It's an oddly cobbled together bit, and it simply doesn't work. Despite my complaints, Die remains a decent Bond film - it's just not a special one. I had a pleasant enough time watching it, but it's not one I'll want to view with a great deal of frequency. Overall, it's not as good as any of the Connery Bonds, but it stands up against the other Moore entries well enough. 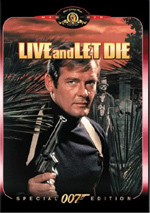 Live and Let Die appears in an aspect ratio of 1.85:1 on this single-sided, dual-layered disc. The movie has been enhanced for 16x9 TVs. Overall, the image of Die looked decent but unexceptional. Sharpness varied a bit but usually seemed perfectly acceptable. Although I noticed some ill-definition in wider shots, the majority of the flick showed good delineation. I noticed some light edge enhancement, but no problems with shimmering or jagged edges occurred. The print utilized featured a fair number of flaws, most of which manifested themselves as white spots or marks. I also noticed more grain than usual. The faults weren't nonstop, but they frequent and pretty noticeable. Black levels were adequate but unexceptional; for example, nighttime scenes simply didn't seem to offer the contrast they should. This meant shadows could seem a bit flat and dim. What the transfer of Die did best was color. This film offered more vivid hues than most Bond pictures because of the exciting wardrobe choices and the frequent outdoor settings. Throughout the film, the colors seemed bright and bold. Those helped bolster some of the transfer’s less appealing trends and left us with a “C” for visuals. Live and Let Die came with its original monaural audio. This track offered a decent listening experience given the restrictions of the format and of its era. The audio generally sounded a bit thin and tinny, though some decent bass emerged at times. Actually, in terms of the music, low-end was most noticeable and highs appeared muted. The rest of the track favored the high-end side of things. Dialogue was always easily intelligible despite its blandness. Though they lacked much heft, effects sounded clear and suffered from virtually no significant distortion. Don’t expect a ton from this mix, but it was more than acceptable for its day. First up are two separate audio commentaries. 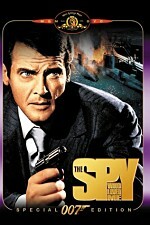 The first features a mixture of comments from director Guy Hamilton, actors Yaphet Kotto, Jane Seymour, Julius Harris, Madeline Smith, Clifton James, David Hedison, Lois Maxwell, and Gloria Hendry, supervising art director Syd Cain, co-art director Peter Lamont, and special effects supervisor Derek Meddings. All of their remarks are taken from separate interviews and they are melded together with the assistance of a narrator John Cork. This commentary looks at the film’s opening sequence, the titles and theme song, locations and stunts, effects and other visual elements, stunts and action, characters and performances, cast and crew information, and a mix of anecdotes related to the movie. Plenty of good information appears, but some problems come along the way. There’s a lot of dead air, and that slows the progress. Though there’s more than enough good content to sustain us, the flaws mean this isn’t one of the best commentaries. The second track offers a running, screen-specific chat with writer Tom Mankiewicz. Unfortunately, this track contains even more dead air than does the first commentary, as Mankiewicz falls silent too often. However, he’s fairly interesting when he talks. Mankiewicz covers a mix of production topics, with an obvious emphasis on the script. He discusses differences writing for Sean Connery and Roger Moore, and he also gets into racial sensitivity in regard to Die. Were it not for the copious amounts of dead air, this would be a good commentary. As it stands, the results are decent at best. Next is a fine 30-minute documentary called Inside Live and Let Die. This is a new program created for this special edition and it utilizes new interviews with all the primary participants (Moore, Hamilton, Seymour, Kotto, Mankiewicz, etc.) interspersed with footage shot during production. 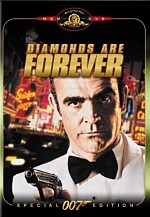 Of the Bond DVDs I've seen, this documentary is one of the best. Die seems to have been a difficult production, and this program relates the experience well. It's not tremendously thorough, but it covers the necessary topics efficiently and elegantly. It seemed much more coherently edited than the program for For Your Eyes Only, for example. To be honest, I liked this documentary more than I liked the film itself! It's a very entertaining piece of work. 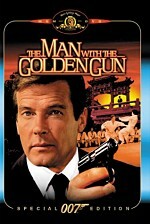 Additional "behind the scenes" footage can be seen in the two segments under the heading On the Set With Roger Moore. One of these shows the "Funeral Parade" sequence that comes at the start of the film. Moore offers some comments about the actor used in that scene, and the segment lasts about 90 seconds. The other clip details the "Hang Gliding" scene, and it shows us Moore as he's about to take flight; this piece lasts almost four minutes. I don't know if these were part of a larger program, but they're both decent and interesting. Die teems with promotional materials. Two trailers - one theatrical, one "teaser" - appear. Note that each trailer seems to be mislabeled, since the one that's called "theatrical" runs one minute, 45 seconds, while the "teaser" goes for a full three minutes; it's pretty likely that they got them backwards. Whatever the case, the shorter one is essentially an abbreviated version of the longer ad; unlike some "teasers" - like the classic Terminator 2 clip which shows the T-100 assembly line - this one does not feature anything unique. In addition to the trailers, two television spots and two radio ads are included. In both cases, the first one lasts one minute and other is 30 seconds. Also, as with the trailers, the shorter one in each category is just an abbreviated version of the other. One interesting advertisement featured here is a clip done for the UK "Milk Board." No milk mustaches here: instead we see clips from the boat chase interspersed with behind the scenes footage of that segment. Of course, to keep up their strength, Moore and other crew members make sure to down some milk in between shots! Pretty funny stuff. I'm not a fan of production photos, but those who like them will be happy with the more than 170 presented here. One problem stems from the way in which they're shown: as apparently will be the case with the Bond DVDs, this section offers different subcategories of photos (nine in all for Die). That's a good idea because it means that you should be able to access certain photos that you really like without having to wade through the dross, right? In theory, yes; in reality, no. Unfortunately, the vast majority of the photos can be found in one section ("Filmmakers"). The other eight areas contain far fewer pictures; some of them only have two or three photos per heading! It's a good idea but poorly executed here. Still, if you like these kinds of photos, you'll probably find it to be worth the effort. Finally, the Die DVD includes a nice eight-page booklet inside the case. It offers some fun facts about the production; you'll hear some of them elsewhere, but most aren't repeated in other areas. Live and Let Die is one of those DVDs for which I have a hard time offering a firm recommendation. On one hand, it's a pretty mediocre Bond movie and both the picture and the audio are only slightly above-average. On the other, a mediocre Bond movie is still more entertaining than most other action flicks, and the extensive supplements on this DVD add greatly to the value of the package. For Bond fans, it's a solid purchase; I may not be wild about the movie, but I'm glad I have it. Others may want to rent it first and see if they think it's worth owning.